Your luck is in ... but not for long! 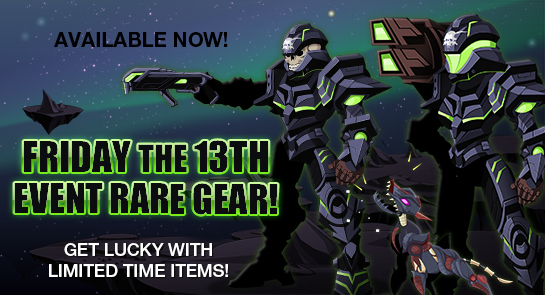 It wouldn't be Friday the 13th without new rare gear to commemorate the event -- and this week, our artists have gone intergalactic with their inspiration! Starting tonight, find Axeros' Undead Space Marine set in your rares shop along with 2 new NON-MEMBER event-themed helms from Boxer, the Cursed Guardian Bank Pet, and more! 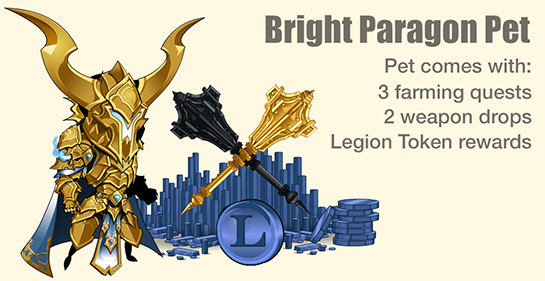 Friday the 13th event rares leave on May 27th, along with the May Rares shop gear, the Nolan the Holy Goldfish pet (in Aria's pet shop to celebrate Pisces birthday), and the Abyssal Angel Class! Unlock the exclusive weapon with any AC package! 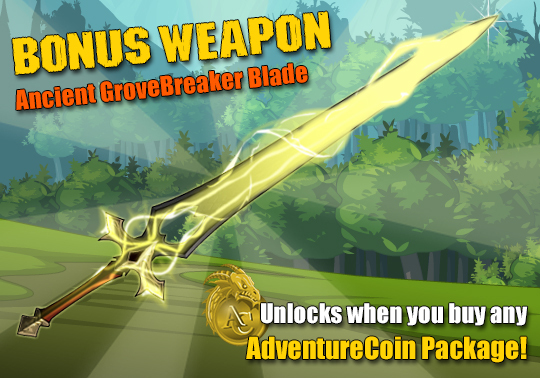 Unlock the Ancient Grovebreaker Spellblade with ANY AdventureCoin package! The weapon will be added directly into your inventory, so you can /equip it and begin battling your way through all our awesome Summer 2015 "Return of the Living Dev" events right away! 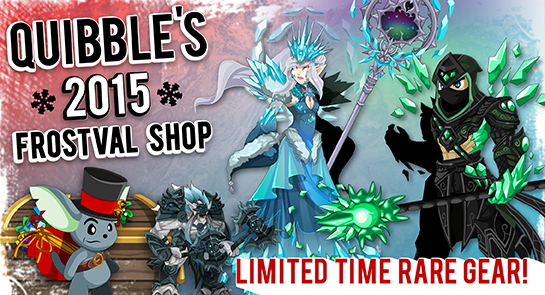 Then find the rest of the Ancient Spellblade gear (including an armor, helms, a floating sword pet, and more) in the Living Dungeon AC Rares shop inside your Game Menu! *Upgrade your account with a membership to unlock!